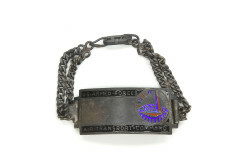 Over 150,000 women served in the Women’s Army Corps (WAC) in WWII. 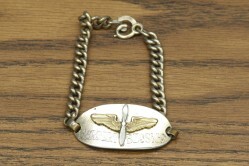 Although many of the women served in the Army Nurse Corps, women also worked as laboratory technicians, armorers, typists, radio operators, weather observers, cryptographers, control tower operators, parachute riggers, sheet metal workers, photograph analysts, and many other jobs as the abilities and readiness to serve of the WACs were acknowledged. 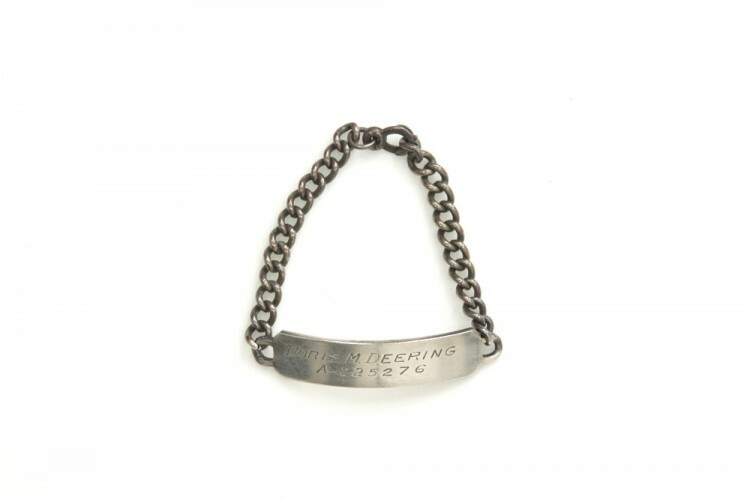 The owner of this ID bracelet was Doris M. Deering, a corporal in the Women’s Army Corps and a Link Trainer instructor at New Castle Army Airbase at New Castle, Delaware, from 1944 to 1945. 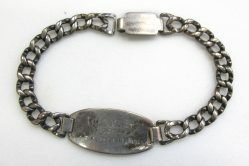 The bracelet is made of sterling silver and is engraved with her name and army serial number.